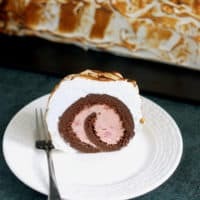 Baked Alaska Cake Roll is made with a light & airy chocolate cake filled with homemade strawberry ice cream and topped with toasted meringue. This is a show stopping dessert that can be served any time of year. 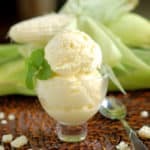 I’ve been talking about ice cream and frozen desserts all month. 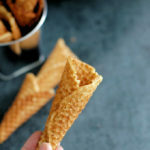 If you want to read about the basics of making homemade ice cream check out my Brown Sugar Ice Cream post. 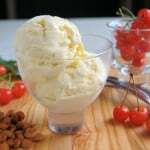 In this post I’m going to first explain how I made the strawberry ice cream. Then we’ll talk about the process for putting together this spectacular dessert. 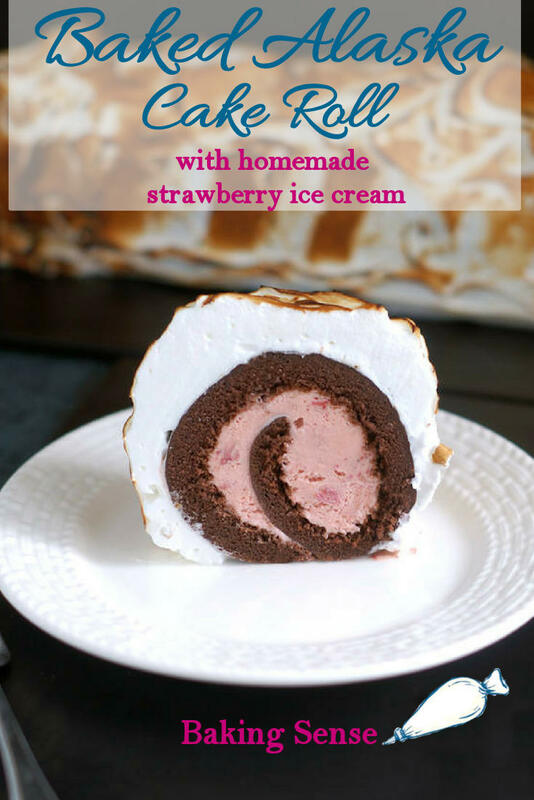 I knew I wanted to make strawberry ice cream to fill the cake roll for this recipe. Not only are strawberry and chocolate a great flavor combination, the colors are pretty too. I also wanted to challenge myself to create a strawberry ice cream recipe with good strawberry flavor, but with no chunks of icy-frozen berries. Some fruits have assertive, strong flavors that come through. Think of how raspberries or oranges are always able to come forward in a recipe. I absolutely adore fresh from the field, in-season strawberries. I could gobble up a quart in one sitting. 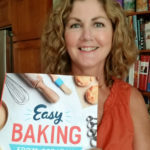 But every time I bake and cook with strawberries, I’m aware of the nuanced and subtle flavor of these berries, and I’m aware of the abundance of water they hold. 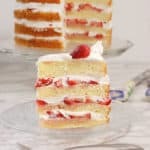 Of course this is exactly what makes a seasonal strawberry such a precious treat to enjoy out of hand or in a no-cook recipe like Strawberry Shortcake. Unfortunately, all that juice in the berries is the reason many strawberry ice creams end up with those chunks of ice-cube berries that I hate. The first step to a good strawberry ice cream is to figure out how to reduce the amount of water in the strawberries without reducing the flavor. Cooking the berries is one way to do this. This is the approach I took when making my Roasted Strawberry Hand Pies. 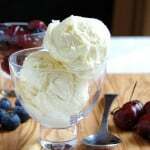 But cooking does change the flavor of the berries, and sometimes I want the fresh berry flavor. 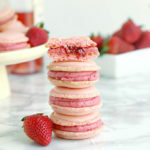 When I was recipe testing for my Strawberry & Rosé Wine Macarons I came upon a great solution, freeze dried strawberries. Freeze dried fruits have a fresh, uncooked, concentrated, yet true, flavor. I also used freeze dried strawberries in my Strawberries & Cream Bundt Cake. So I decided to try making strawberry ice cream with the freeze dried strawberries. As I did with the fresh mint when I made Mint Chocolate Chip Ice cream, I steeped the strawberries in the warm ice cream base to extract as much flavor as possible. I left the berries in the ice cream base so that when I churned the ice cream the mushy berries were simply mixed through the ice cream, leaving a few pretty little berry bits visible. I added a hint of red food coloring so I would have great contrasting colors in the assembled baked Alaska. Speaking of assembling the based Alaska, there are a few things to keep in mind when you’re ready to roll. First, the chocolate cake should be completely cooled before you assemble the roll. I scooped the ice cream straight from the machine onto the cooled cake, rolled it and put it directly in the freezer. Honestly, the cake did ooze a bit as it was rolled and as it started to freeze. But after an hour or so I took the cake roll out of the freezer and used my hands to quickly fix up the shape before wrapping it tightly in plastic wrap to freeze overnight. 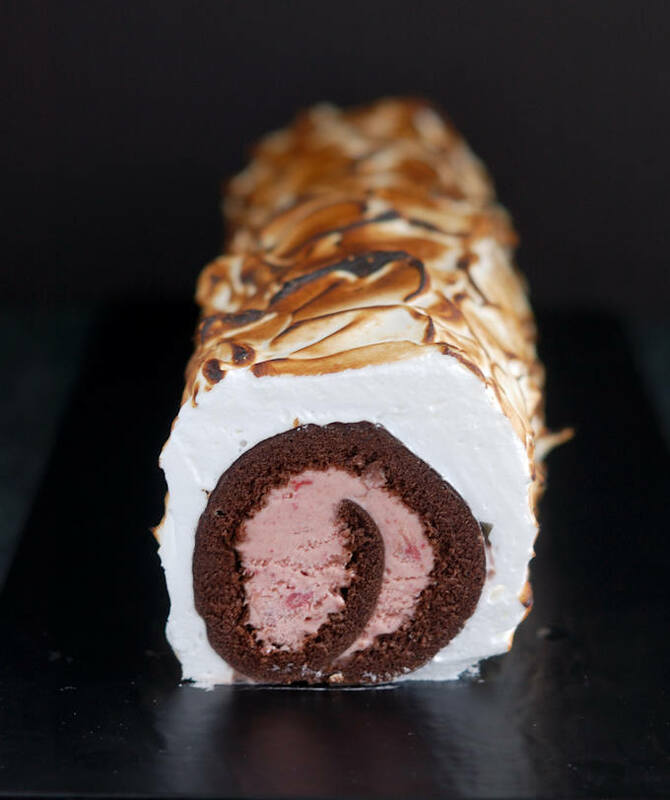 Don’t worry if the roll doesn’t look perfect coming out of the freezer, all that meringue will hide any imperfections. I froze the leftovers after the initial taste testing. The meringue was a little worse for the wear after being re-frozen, but it still tasted good enough to eat. For company you’ll want to serve it as soon as the meringue is toasted, but the leftovers can be refrozen for you to enjoy later. 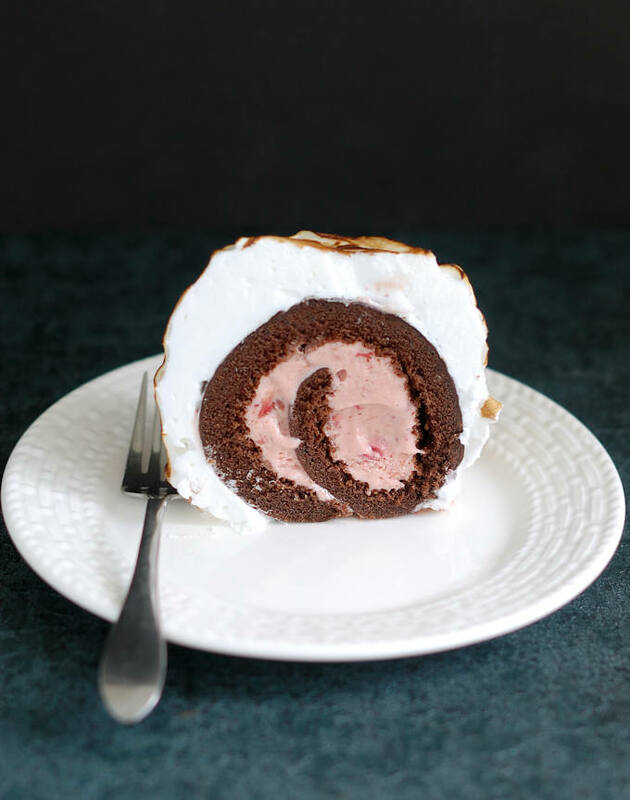 Watch the video to see how to make a Chocolate & Strawberry Bake Alaska Cake Roll. 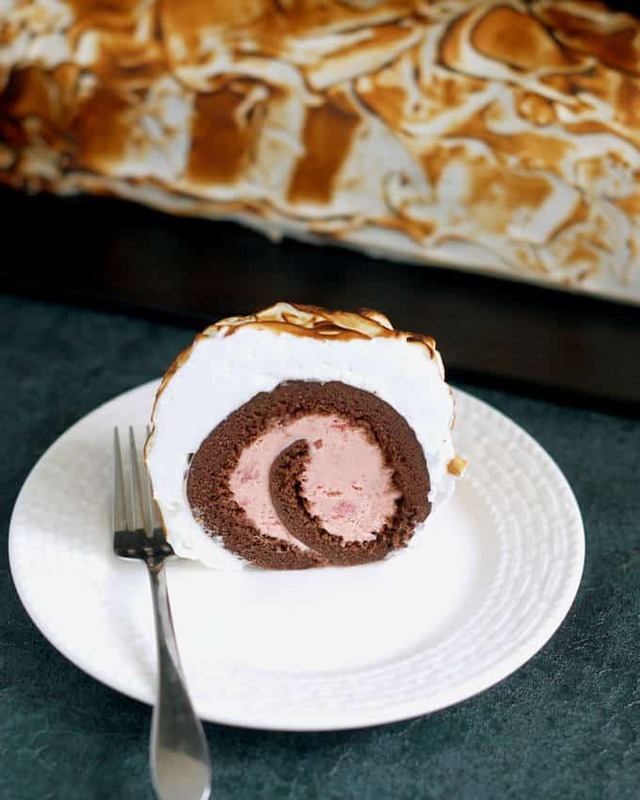 Light chocolate cake roll filled with homemade strawberry ice cream and topped with toasted meringue. This is a show stopping dessert that can be served any time of year. Combine the milk and cream in a small saucepan and heat over medium high heat until scalding hot. While the milk heats up, whisk together the yolks, sugar, salt and vanilla in a small bowl. Return the entire mixture to the saucepan and heat over medium low heat, stirring constantly. Cook the custard until it thickens enough to coat the back of a spatula or wooden spoon. Do not allow it to come to a boil. Remove from the heat and pour into a bowl with the freeze dried strawberries. Cover the bowl and chill until very cold. At least 4-5 hours or over night. Preheat the oven to 375°F. Line a half sheet pan with parchment paper. Combine the eggs, sugar, vanilla and pinch of salt in a mixer bowl. Set the bowl over a pan of simmering water (make sure the bowl doesn't touch the water). Whisk until the sugar melts and the eggs are a little warmer than body temp. Remove from the heat, move the bowl to a stand mixer or use an electric hand mixer. Add vanilla and whisk on medium speed until the eggs are "ribboned" (see note 2). Whisk a cup of the egg mixture into the cocoa mixture. Sift the flour over the remaining eggs and gently fold until the flour is barely incorporated. Fold in the cocoa mixture and the melted butter, careful not to over-fold and deflate the batter. Gently pour the batter into the prepared pan and smooth to an even layer. Bake until the center of the cake springs back when lightly touched, about 10 minutes. Churn the ice cream according to the directions for your ice cream machine. The strawberries should have softened while the mix was chilling and will bread down as the ice cream churns. You can add a few drops of red food coloring to enhance the color if you'd like. While the ice cream is churning, lift the cake out of the pan, leaving the parchment paper attached. Flip the cake onto a clean sheet of parchment and peel off the old parchment. Flip the cake back over and remove the parchment from the top. The cake needs to be completely cooled before filling. Spread the soft ice cream over the cake. 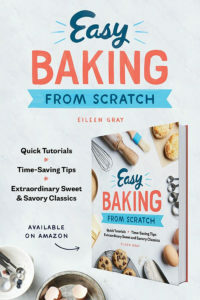 Use the parchment paper to lift the long edge of the cake closest to you and roll the cake, using the parchment to lift and curl the cake. Flip the roll, seam side down and wrap with the parchment paper. Set on a sheet pan and freeze until solid, at least 3-4 hours. Preheat the oven to 500°F if you don't have a propane torch. Whip the egg whites with the cream of tartar until foamy. Slowly add the sugar and whip to full peak on medium speed. Remove the cake roll from the freezer and unwrap. Place the cake back on the sheet pan. Pipe or spread the meringue onto the cake, including the two ends. If spreading use a small spatula to create peaks and swirls on the surface of the meringue. Use the propane torch to brown the entire surface of the cake. Alternately, place the cake into the oven and bake until the meringue is golden brown, about 3-4 minutes. I love baked Alaska! 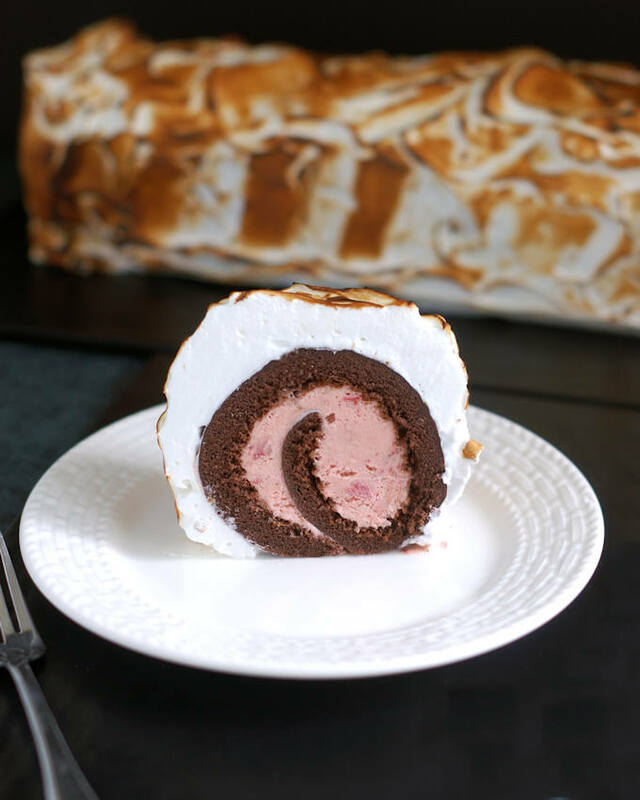 Looks so delicious and such a genius idea making it as a cake roll!